It is possible that Obama’s oppressive, jackbooted thugs are withdrawing from their attack on a Nevada rancher after stealing over 500 of his cattle. Government officials are saying that the situation has become “too dangerous” for its operatives and the situation is spiraling out of the government’s control, so they are quitting their efforts to destroy an American citizen’s livelihood… at least for now. 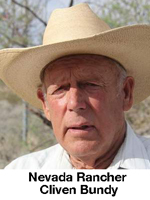 The situation had exploded into extreme measures by Obama’s Bureau of Land Management, a bureaucracy that wanted to destroy the livelihood of 67 year-old rancher Cliven Bundy whose family have been cattle ranching in that same area of Nevada bordering with Utah since the late 1800s. BLM has been slowly destroying the cattle industry in that area for quite some time and Bundy is the last rancher left. But Bundy refuses to acquiesce to the government’s lies and jackbooted tactics. He and his family have been there for over one hundred years and he refuses to leave. Why is the government trying to get him to quit the land? Because the government claims that with his cattle Bundy is harming the environment for the purportedly “endangered” desert tortoise. This is an animal so “endangered” that the U.S. government itself has been euthanizing hundreds of them because there are too many for the land to support. But the BML is indulging the lie that this tortoise is “endangered” and using that as an excuse to send hundreds of para military agents armed to the teeth and ready to kill anyone in their way to “save” an animal of which they themselves are killing hundreds. In fact, the double lie about this turtle is that its population has exploded while living alongside Bundy’s cows the entire time. So it is clear that the cattle aren’t bothering the turtles at all. The real nub of this matter is that Obama and his thuggish government has indulged a bacchanalia of land theft that has made other president’s land seizures pale in comparison. Bundy’s hundred-year-old ranch is in the way of Obama’s land theft and thus he was set up for destruction. Dana Loesch also cleared up another issue with Mr. Bundy: he isn’t a “deadbeat” on paying government fees. So, last week, Obama’s BLM swooped in with its armed, para military thugs and began to steal the rancher’s cattle, killing them and giving Bundy nothing for it all. But once these lawless thugs began to move in, word got out and Americans responded. As each day closed more Americans who oppose Obama’s lawlessness began to show up, many of whom were armed and ready for anything. Now, after a week of its illegal activities, Obama’s government men are BLM director Neil Kornze said. So, now the government is backing off. But only for now. It is clear that the BLM still fully intends to destroy Bundy’s life and they are only beating a strategic retreat to prevent what may have turned ugly. But this is where we are, America. 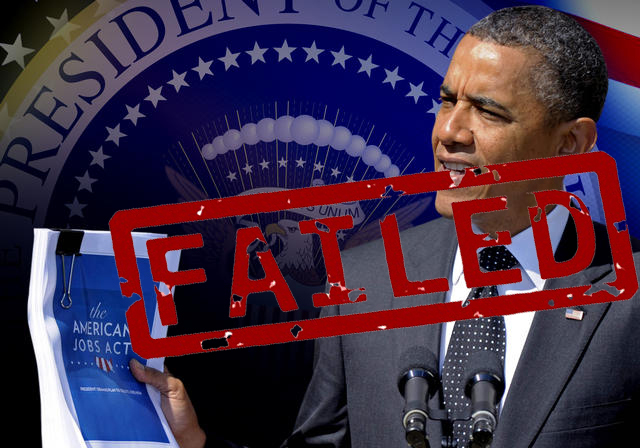 We are now fully at a time when no government official is given legitimacy by any citizen. The “law” is not respected by the average American because our “law enforcement” officials have proven to have no respect for the law nor any respect for we the people. We have police officers willfully violating the rights of the citizens they are supposed to “serve and protect.” These so-called officers of the aaw have become increasingly militarized and since every military needs an enemy, we, the people, have become that enemy. Worse, we have politicians of every stripe and at every level of government using their positions not only to enrich their cronies, but to enslave the people under unjust, fiat “laws” that are as fluid as the air about us, winds that change any time a politician feels the need to change them. On top of that we have a massive regulatory state oppressing every area of our lives filled with unelected, un-accountable and increasingly armed “officials” all of whom see the people of the United States as vassals who have no rights whatsoever. We have arrived to a point where the average American does not imbue authority with any legitimacy. As Thomas Aquinas wrote, “Lex mala, lex nulla” (An evil law, is no law). And at this point, few people think we have any laws that aren’t essentially evil. Who can’t imagine that it will soon be open season on anyone who works in government? If they have no regard for us, our property, even our very lives, why should we have regard for them? The situation in Nevada is just one more example in the growing state of anarchy, one created by a rapacious, illicit government.